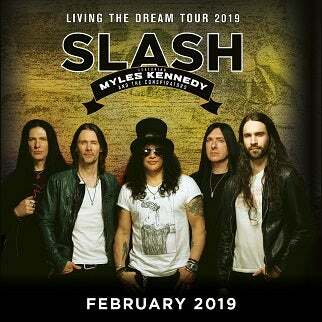 SLASH FT. MYLES KENNEDY & THE CONSPIRATORS are pleased to announce U.K. Tour dates in February and March 2019 – following on from their USA headline tour in September and October 2018. The European tour will support the imminent release of Slash’s fourth solo album LIVING THE DREAM. Pre-order 'Living The Dream' via the Roadrunner Records UK store https://shop.roadrunnerrecords.co.uk/artists/slash.html by 2pm on Thursday 13th September 2018 to get access to an early pre-sale for tickets to these UK shows which starts Friday 14th September at 9am. 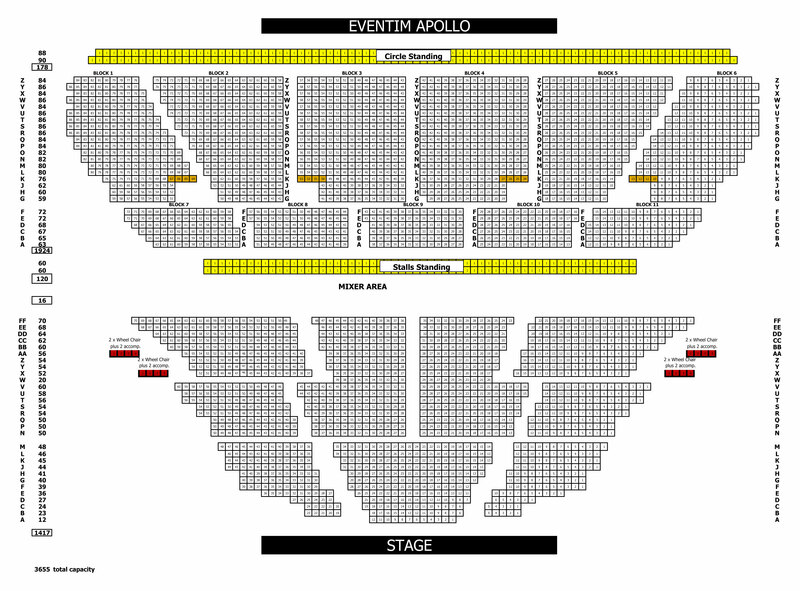 (Tickets are limited and allocated on a first come, first served basis, max 2 tickets per person). LIVING THE DREAM, is SLASH’s fourth solo album, and third with SLASH and his bandmates MYLES KENNEDY (Vocals), BRENT FITZ (Drums), TODD KERNS (Bass & Vocals) and FRANK SIDORIS (Guitar & Vocals). The band has launched a physical pre-order for LIVING THE DREAM including CD, Heavyweight vinyl and a limited edition Deluxe Premium Set consisting of 2LP Yellow Vinyl within a Premium “Living The Dream” Vinyl-size 20 page Hardback Book, an exclusive one- sided 7” single of “Driving Rain” featuring an etching on the B-side with a special set of SLASH plectrums, Standard Physical CD album and poster. All formats are available to order along with a limited-edition T-shirt and Hoodie. To view a variety of the LIVING THE DREAM CD/merchandise bundles available now: http://www.slashonline.com. For LIVING THE DREAM, SLASH and his band re-teamed with producer Michael “Elvis” Baskette (Alter Bridge, Iggy Pop, Incubus) on the powerful 12 song collection. The band’s previous albums World On Fire and Apocalyptic Love, debuted in the Top Ten on 12 charts globally, spawned three #1 hit singles at U.S. Rock Radio and earned worldwide praise garnering SLASH some of the best critical acclaim of his career. World On Fire was tagged in the USA by Guitar World as “another bold and unapologetically riffy statement” and “a varied, immersive and incredibly hard rocking effort” (December 2014). Rolling Stone described Apocalyptic Love--the band’s debut album--as “filled with head bangers and plenty of fancy fretwork” and Revolver declared it “a collection of lean, high-octane rock-and-roll tunes built to be blasted out of open-top sports cars, or more suitably, open-air stadiums” (May 2012).